Our family owned and operated company has over 20 years’ experience and offers a level of service you just can’t find in corporate HVAC companies. Your trust and satisfaction is our biggest goal. We always check to see if a defective part is under the manufacturer’s warranty. All of our work has a 100% satisfaction guarantee. 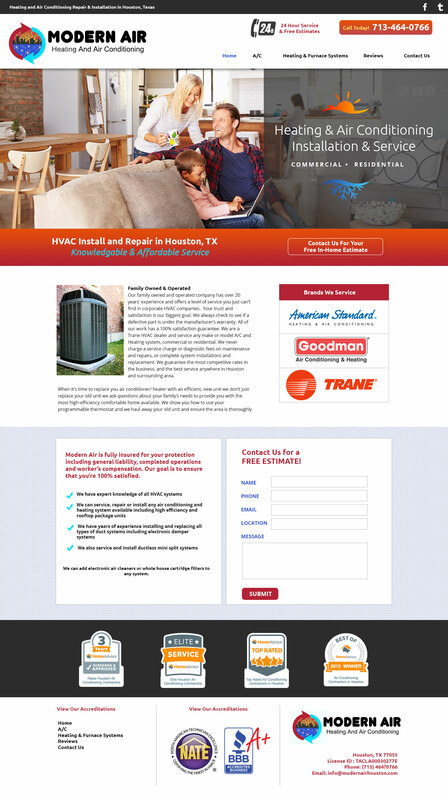 We are a Trane HVAC dealer and service any make or model A/C and Heating system, commercial or residential. We never charge a service charge or diagnostic fees on maintenance and repairs, or complete system installations and replacement.